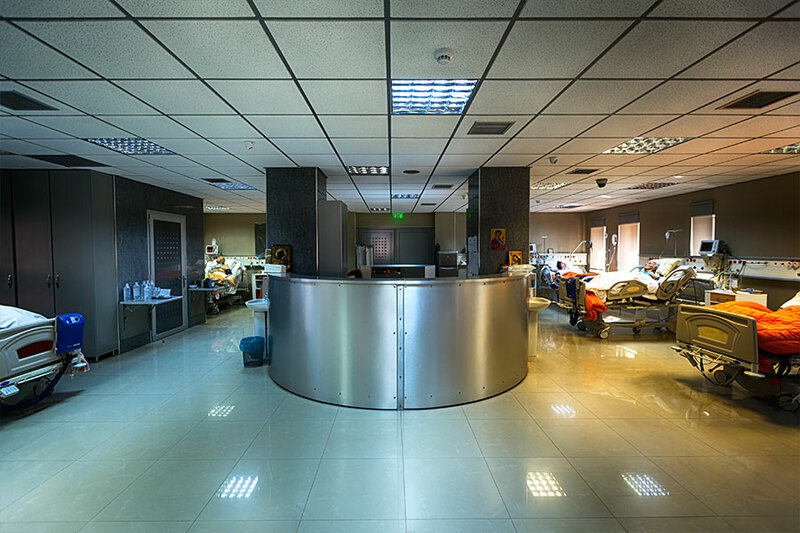 The Intensive Care Unit of our Centre can host up to 14 patients. It is built, equipped and staffed according to the directions of the European Society of Intensive Care Medicine. We are able to hospitalize patients immediately after their exit from an Intensive Care Unit, a Neurosurgery or Neurological Unit, but also severe medical cases from the Departments of Pathology, Surgery or/ and Orthopaedics, caring at the same time for their recovery.